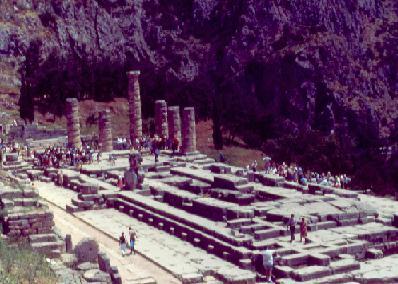 One of our favorite places to visit in Greece is the ancient site of Delphi, located about 100 miles north west of Athens. Wedged between towering cliffs, this site offers a taste of history combined with complete relaxation. 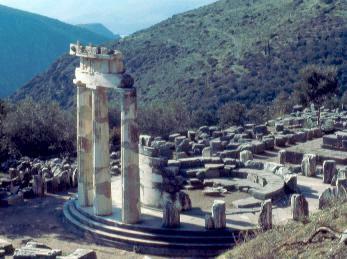 The best time to see Delphi is in the winter, fewer tourists. 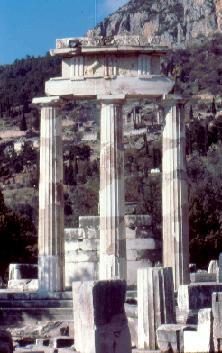 The Tholos, built circa 380 B.C..
Another view of the Tholos. 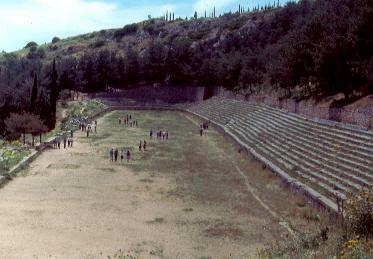 The stadium, constructed in the 5th century B.C. at the top of the mountain. 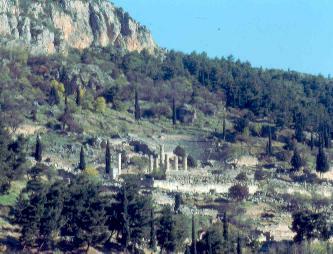 The Temple of Apollo completed in 330 B.C. An overview of the site and the cliffs.